Drop Everything and Read Day or D.E.A.R. Day is the birthday of author Beverly Cleary. The first D.E.A.R. was celebrated on Cleary’s 90th birthday. It is a national celebration of reading that is designed to remind families to make reading a priority activity in their lives. It’s when kids can read and enjoy the books they want, just for the pleasure of reading. Drop Everything and Read Day is a partnership effort of several organizations to promote reading habit. When is Drop Everything and Read Day? 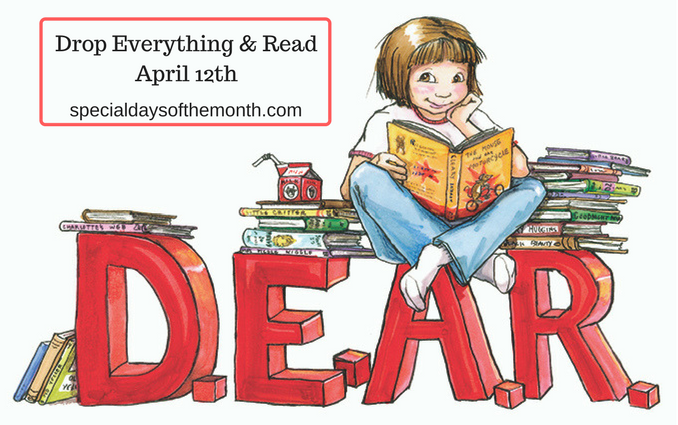 How is Drop Everything and Read Day (D.E.A.R.)celebrated? Celebrate the day by making an Independent Reading Work plan.